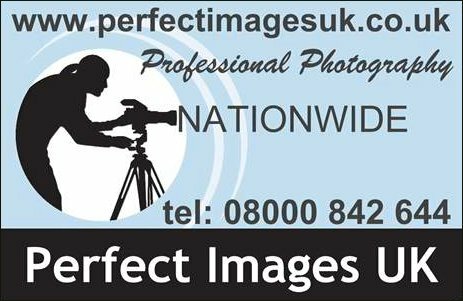 1/ All photographic commissions will be carried out by the founder of Perfect Images UK unless otherwise agreed with the customer. 2/ Perfect Images UK retains all copyrights for any work documented, unless the company as agreed to transfer, sell or waiver any rights. The company may use, display, publish, share, license any work, images, photos, photographs, prints or image data files if it wishes to do so, unless previously agreed with the client. 3/ Images displayed in our portfolios or on our / or other web sites are protected by International and UK copyright law. We take image theft very serious and will prosecute anyone who thinks they can use, display, download, store or reproduce our images without our sole written permission. 4/ All Clients of the company will recieve the original film images documented at the commission unless other otherwise previously agreed. Originals are the first photograph to be printed from the film negatives or positives. The size of the original photographs depend on the size required at the time of booking by the client. 5/ All customers of the company will be required to sign a contract which will list all commission details ie/ image use & rights, costs, print sizes, client data held, venues, times, locations, objectives etc. 6/ All commissions require a two third non-refundable deposit with the outstanding balance due on commission completion unless otherwise previously agreed. If the company use the services of Royal Mail we always insure and require signatures for proof of posting / delivery. 8/ Any reproductions produced by the company are colour matched and corrected at our discretion unless originals are provided. 9/ No reproduction orders will be generated until payment in full is recieved. 10/ We will not ever be held responsible for a act of god / nature. 11/ All reproduction sizes are nominal and in inches. 12/ Customer contracts can only have terms changed / added or removed with the companys permission. There may be a charge to re-write contracts if permission is granted. 13/ For any reason beyond the companys control the companys founder can not make a commission a alternative photographer can be found if wished. Alternatively a full refund will be given. 14/ All payment plans require a admin set-up fee of £95. 15/ In the first instance the company will only use professional films. 16/ The company only uses professional film and digital cameras. 17/ All professional film and digital reproductions are available to all clients. 18/ If a client decides they only require digital imaging, an additional contract will be required, explaning what after services are available and any possible photographic implications that could arise through digital capture. 19/ The company offers professional film and digital capture, services and packages. 20/ The company is available for international and national commissions. 21/ Copyrights is some cases are available for purchase. This will be mentioned at the time. 22/ The company offers film photography and digitally capture combined packages for all commissions, if required. 23/ The company can and will offer large format reproductions for both film and digital capture. 24/ Any client wishing to cancel their contract may do so in writing to the company, however any monies previously paid will be lost, Eg deposits, payment plans or similar. 25/ The company cannot be held responsible for any malfuctioning equipment. However we always have back-up equipment available. Our equipment is tested on a regular basis. 26/ The company will allow, offer and agree to print and publication licenses, where appropriate for clients and specific commissions. Depending on client and commission requirements. Additional costs may be required.